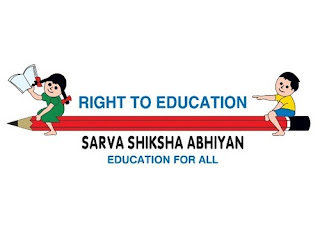 Sarva Shiksha Abhiyan (SSA) is an universalize elementary education by community ownership of the school system. It is in response to the demand of quality basic education. It is in response to the demand for quality basic education all over the country. What is Sarva Shiksha Abhiyan? The SSA programme is also an attempt to provide an opportunity for improving human capabilities to all children, through provision of community owned quality education in a mission mode. It is a result of National Policy on Education 1986 (NPE). It started in 2000. It’s a programme with a clear time frame for universal elementary education. The programme seeks to open new schools in those places which do not have schooling facilities and strengthen existing school infrastructure through provision of additional class rooms, toilets, drinking water, maintenance grant and school improvement grants. All children complete five years of primary schooling by 2007. All children complete eight years of schooling by 2010. Focus on elementary education of satisfactory quality with emphasis on education for life. Bridge all gender and social category gaps at primary stage by 2007 and at elementary education level by 2010.